Rosemary, like the poppy and the Anzac biscuit, is another emblem that can be worn on Anzac Day. Fields of rosemary were growing wild through the Gallipoli peninsula, like the poppy, and therefore became another symbol of remembrance. A simple sprig worn on your lapel, or even a vase full at the entrance of your home is used to show your respects. A pungent herb that is hardy, easy to grow and delicious to cook with, Rosemary is also very simple to care for. 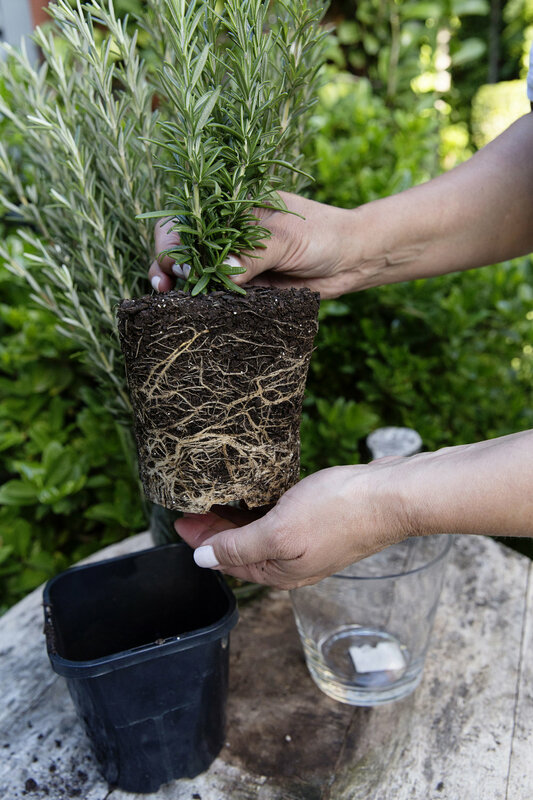 There are some simple tricks when it comes to keeping your rosemary bush happy and healthy, the main one being TRIM! This herb loves a good trimming, and it’s best to start cutting back just after it flowers. To keep it happy throughout the year, water it evenly, and let it drain completely as it’s no good for it to sit emerged in water. Rosemary thrives in the outdoors and works well potted and planted; I love the smell of brushing against a gorgeous rosemary hedge. Keeping them as indoor herbs is a little trickier, they tend to dry out and brown up faster than you can say rosemary and salted potatoes. But of course, it can be done! Make sure the soil remains damp but not too wet, deprive them of some light before you bring them inside so that they can acclimatise and get used to not being in direct light. Once they are indoors, keep them as close to a window with natural light as possible, if not then near a fluorescent bulb to give them that extra light. If you start with those steps, your plant should start its life indoors pretty happy. I love to keep a collection of potted herbs in my kitchen as it makes it so much easier when cooking. I am a little obsessed with glass pots and jars at the moment - you can get them for a steal at IKEA. So as we head into the cooler months, let’s start moving those herbs indoors. By replanting them in a glass vase instead of terracotta, you will definitely make a statement in your kitchen.